Photographed Mar. 28, 2006 after discovering in tree fungus samples collected Mar. 18, 2006. 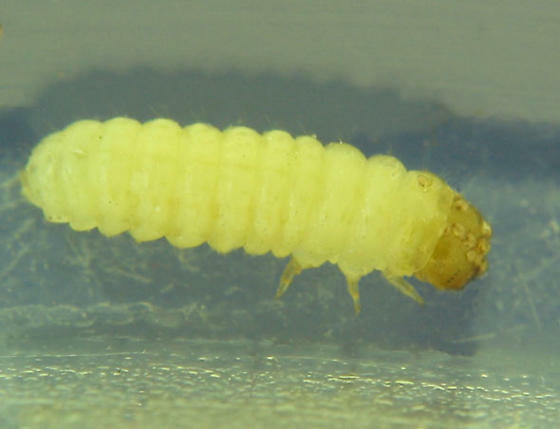 I would not have expected a remarkable-looking beetle to have matured from this unremarkable-looking larva.